Shaikh Saaleh Al-Fawzaan [may Allaah preserve him] was asked about some of those students with a [ورع بارد – an inappropriate or unjustified ‘apprehensive fear’ (1)]- that when when they hear the sincere advisers- among the students or scholars- warning against bidah, the people of bidah and the paths that lead to bidah, and making mention of the reality of what they [i.e. people of bidah] are upon and then refuting them; likewise, [these advisers] would mention some of the names of [those being refuted]- even if they have passed away- due to the trial the people are subjected to through them; and this [warning] carried out for the purpose of defending the Religion, to unveil the deception of those who mix truth with falsehood and those who speak ill of [the religion] in the midst of the people and and thus spread the splitting and differing in the Ummah- they [i.e. 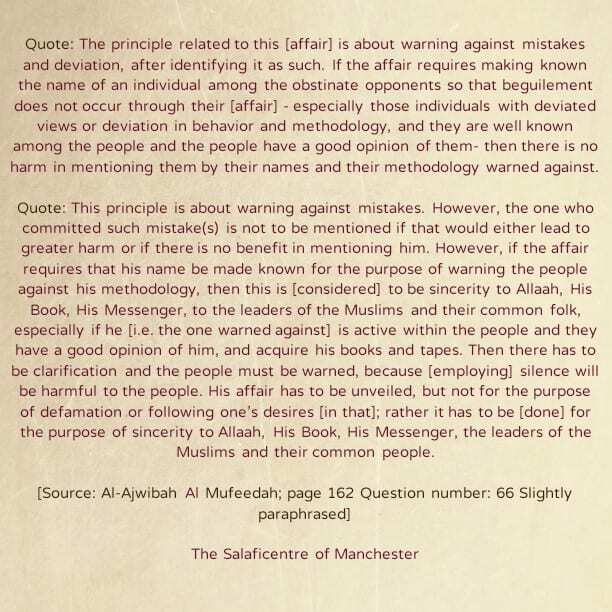 those with this inappropriate or unjustified apprehensive fear] would claim that speaking against the innovators and mentioning some of their names is from the forbidden types of backbiting. Answer: The principle related to this [affair] is about warning against mistakes and deviation, after identifying it as such. If the affair requires making known the name of an individual among the obstinate opponents so that beguilement does not occur through their [affair] – especially those individuals with deviated views or deviation in behavior and methodology, and they are well known among the people and the people have a good opinion of them- then there is no harm in mentioning them by their names and their methodology warned against. The scholars carry out research in the science of Jarh Wat-Tadeel and then mention the narrators and the reproach stated against them. 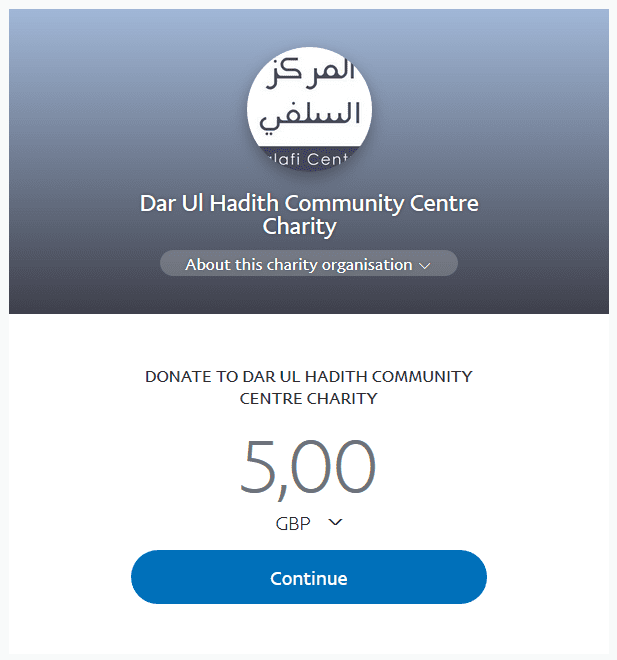 This is not [done] for the purpose of personal [criticism]; rather it is [done] for the purpose to giving advice to the Ummah in case they come across affairs from these individuals that are harmful to the Religion or lies against the Messenger [sallal-laahu-alayhi-wasallam].